The deep-hued, brightly resonating voice of Meli’sa Morgan first wowed listeners and club-goers in the early 1980s. By way of the soulful New York dance hit, “Keep in Touch (Body to Body)” and an album with funky studio group High Fashion, the Queens-bred, Juilliard-educated siren established herself as an energetic force to be reckoned with. Within a few years’ time, she dynamically expanded her artistic horizons with her debut solo outing, Do Me Baby. While spurred initially by her high-charged rendition of Prince’s hidden 1981 gem of the same name, the album was largely co-written and co-produced by Morgan with jazz-funk keyboardist Lesette Wilson—an unusual feat in 1985 for two then-relatively-unknown female forces in the contemporary R&B world. Morgan’s subsequent streak of hit singles was equally artistically merited: the unforgettable, sullenly groovy “Fool’s Paradise”; the moving “Do You Still Love Me”; a definitive remake of Mother’s Finest’s deep slow jam, “Love Changes” (performed as a duet with Kashif); and a charming take on Al Green’s “Still in Love with You.” But a variety of label changes and shifting trends translated to a 13-year gap between her Still in Love with You album and 2005’s comeback disc, I Remember. 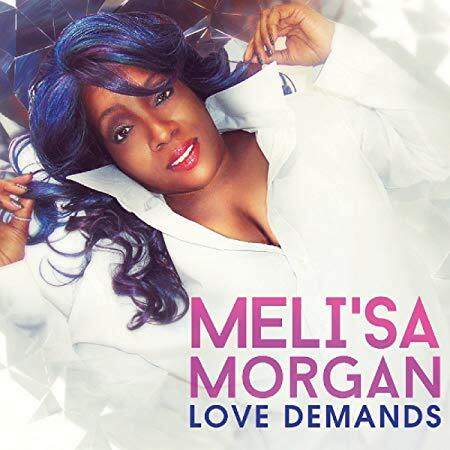 And despite the success of her and Freddie Jackson’s version of Donny Hathaway and Roberta Flack’s “Back Together Again” from the latter CD, it’s taken a further 13 years for the arrival of Morgan’s sixth studio album, Love Demands. Once again, numerous changes in both commercial and distribution methods have taken place over the years since Morgan’s last full-length release. Thus, it’s all the more remarkable that she has delivered an album solidly grounded in the pure songcraft and unaffected interpretation which she thrived on before fleeting hooks ruled the world and streaming took over the business of music. Split evenly between new compositions and new interpretations of songs with personal significance to Morgan from the R&B and pop songbooks, Love Demands is a rarity even in a modern marketplace where adult-contemporary artists are finding more acceptance among younger audiences and classic soul is back in vogue. That is to say that Love Demands subsists not on any one stylistic angle or targeted production methodology; rather, it stands firmly as a group of songs that fit Morgan’s pipes optimally. She, in turn, brings each one to pass comfortably and heartfully, free of phonic artifice or structural capitulation. This is exemplarily evident on her refiguring of The Supremes’ 1967 nugget, “Love Is Here and Now You’re Gone.” One of the less covered entries of the legendary girl group’s mass of hits, the somber tune is phrased with assured sensitivity by Morgan, who imbues each line with bold cries of vulnerability in both the lower and upper reaches of her range. Morgan joins forces with Michigan-based Brady Gasser (aka Gozza) and Slattery for the writing and production of six original tunes on Love Demands. The result is an enticing olio of soulful melodies and slightly hip-hop-tinged beats which provide a fluid backdrop for her sweet falsetto adventures and deeper, passionate shadings. The title track is the most impactful, with Morgan pondering with subtlety the emotional and physical changes brought on by a newfound love. There’s authentic appreciation to be found in her rendering of the lyrics: “When life’s out of control, you always calm me down and bring me back where I should be.” Yes, indeed. Anyone listening could use a little more of that sensibility today. Love Demands has been a long time coming, and longtime fans will find gratification in the back-to-basics musical mentality that Morgan and company have achieved without overthinking concepts or niches. New recruits to her music who opt for the physical CD release also get a small taste of her back catalog with newly recorded versions of “Do Me Baby” and “Fool’s Paradise,” which come close to replicating the original ‘80s recordings. Recommended.